If you are looking for a system that can be easily deployed in an existing duct, sub-duct, directly buried or aerial infrastructure, then Prysmian’s RETRACTANETXS solution meets the challenge. In settings such as residential (brownfield or greenfield sites), rural and aerial applications, the RETRACTANETXS solution is fast, flexible, reliable and userfriendly. A combination of a fully integrated connectivity solutions and a full suite of innovative tools allows for efficient and effective installation practices, delivering a reduced Total Cost of Ownership. 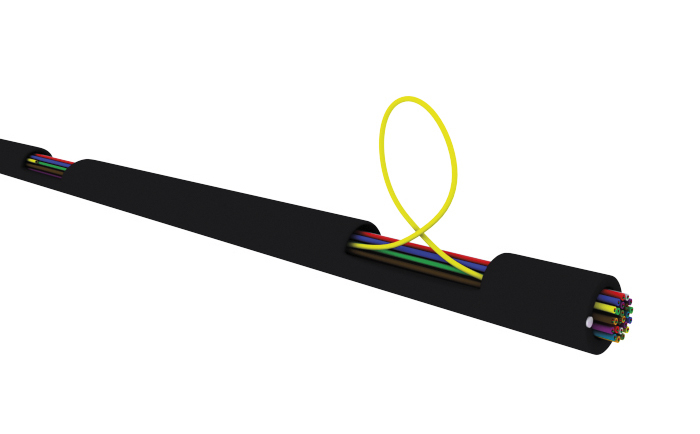 The unique RetractaCable, filled with smaller fibre modules, runs from the Optical Distribution Point, through trenches or from pole to pole, and can then be cut and retracted from one point to another. It’s then fed or blown directly to the customer premises. RETRACTANETXS offers significant savings on labour and materials. In fact, it can reduce the overall cost of OSP network deployment by 7–9 %, compared to traditional P2P network solutions.